The historically-reactive approach to identifying safety problems and mitigating them involves selecting black spots or hot spots by ranking locations based on crash frequency and severity. The approach focuses mainly on the corridor level without taking the exposure rate (vehicle miles traveled) and socio-demographics information of the study area, which are very important in the transportation planning process, into consideration. A larger study analysis unit at the Transportation Analysis Zone (TAZ) level or the network planning level should be used to address the needs of development of the community in the future and incorporate safety into the long-range transportation planning process. 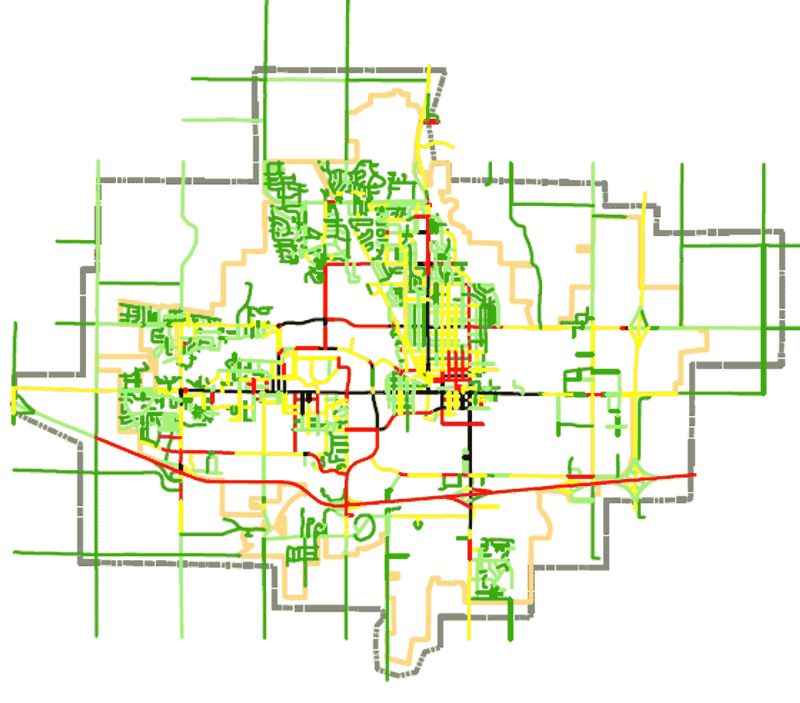 In this study, existing planning tools (such as the PLANSAFE models presented in NCHRP Report 546) were evaluated for forecasting safety in small and medium-sized communities, particularly as related to changes in socio-demographics characteristics, traffic demand, road network, and countermeasures. The research also evaluated the applicability of the Empirical Bayes (EB) method to network-level analysis. In addition, application of the United States Road Assessment Program (usRAP) protocols at the local urban road network level was investigated. 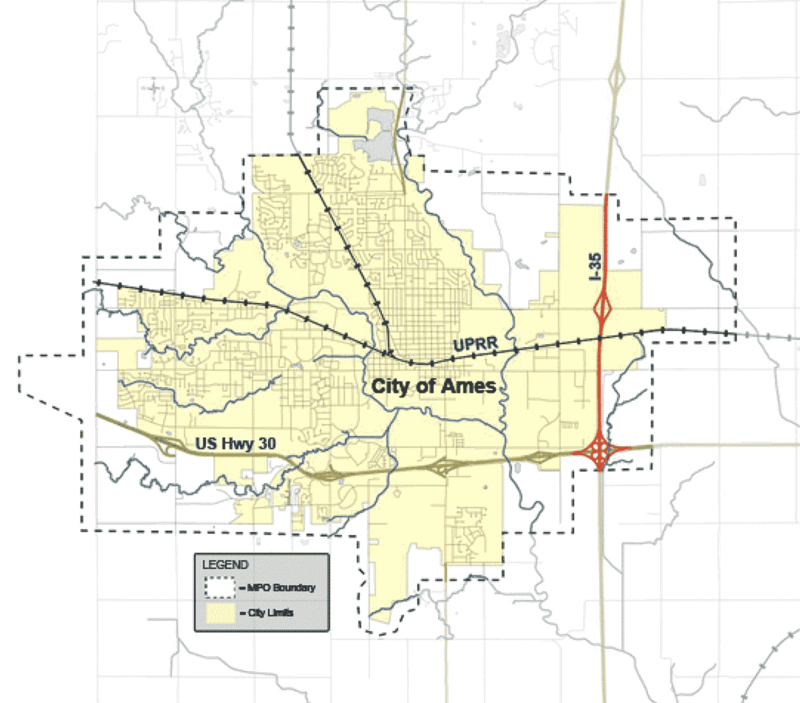 This research evaluated the applicability of these three methods for the City of Ames, Iowa. The outcome of this research is a systematic process and framework for considering road safety issues explicitly in the small and medium-sized community transportation planning process and for quantifying the safety impacts of new developments and policy programs. More specifically, quantitative safety may be incorporated into the planning process, through effective visualization and increased awareness of safety issues (usRAP), the identification of high-risk locations with potential for improvement, (usRAP maps and EB), countermeasures for high-risk locations (EB before and after study and PLANSAFE), and socio-economic and demographic induced changes at the planning-level (PLANSAFE).